Let’s talk about salad. Don’t click away, there’s so much to know! For some people salad is just a few basic items like iceberg lettuce, tomatoes and cucumbers smothered in dressing from a bottle. For some it’s the thing they eat grudgingly so they can get to the main part of the meal, while others relish in the delight of a great salad day after day after day. When I was growing up dinner almost always included some fresh produce on the side of my plate, a few slices of tomato or cucumbers, maybe some peppers and lettuce, but it was just a small side. Salad as the entire meal? Nope! 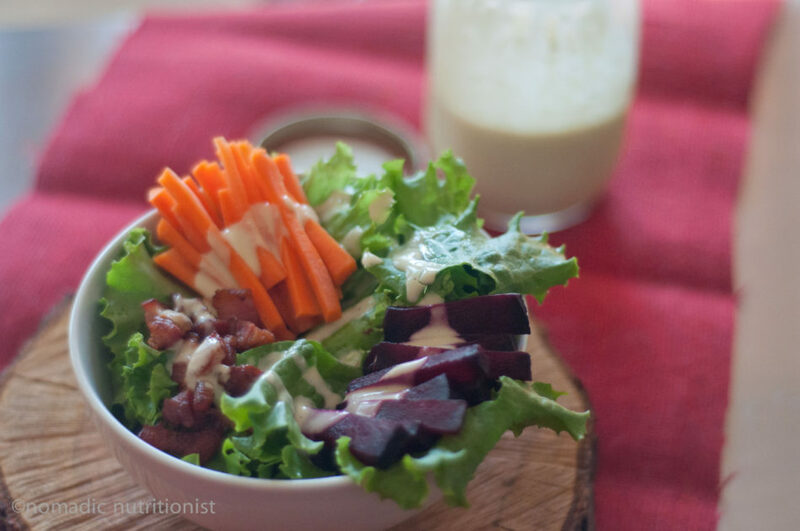 Fast forward several years when I finally realized that what I ate made huge difference in how I felt and could help heal some of the ailments that I had, and salad was on my radar in a big way. It just made sense, eat more veggies. But truthfully, I didn’t really like eating a big salad. 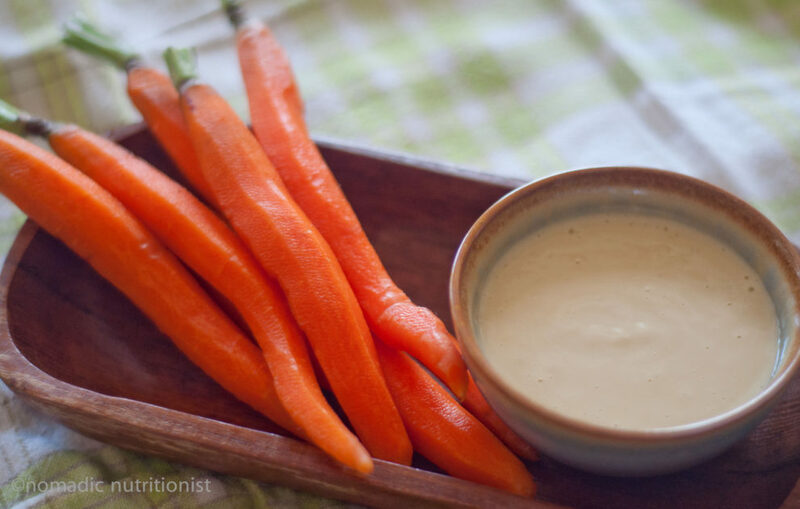 I was piling on the same few ingredients with the same dressings and I quickly got bored, plus salads take a long time to eat – there’s a lot of chewing! I didn’t like spending a ton of time eating something that wasn’t satisfying. If I had a book like Healthy Fresh Salads to help me along the salad road for sure I would not have gotten bored. Healthy Fresh Salads was written by fellow Holistic Nutritionist Jesse Lane Lee in conjunction with other fantastic Holistic Nutritionists. 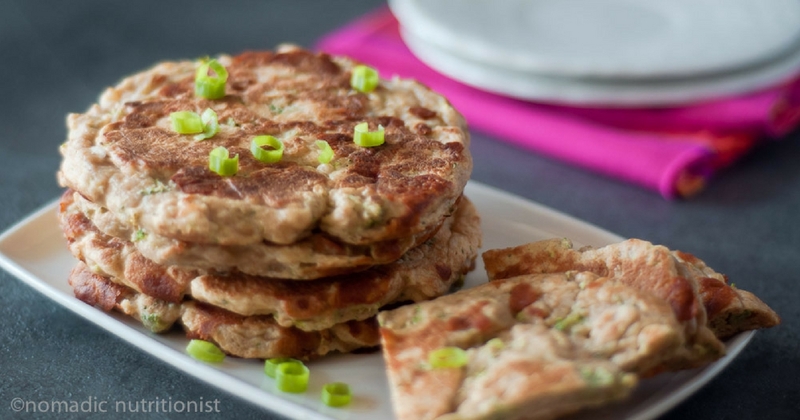 The book contains over 30 fresh gluten-free salad recipes, many of which are vegetarian, vegan, sugar-free, dairy-free, soy-free or paleo. Jesse has created a book filled with the information you need to know about nutrients & health benefits of ingredients, buying organic vs conventional, eating on a budget plus over 30 recipes for salad and dressings. With that many delicious and creative recipes you can mix & match and never eat a boring salad again! Jesse has graciously allowed me to share the recipe for Lettuce Be Friends with Salad from the book for you to try. And you should. This soy-free, dairy-free, nut-free vegan salad is filled with phytonutrients and the Lemon Tahini Dressing has quickly become one of my favourites. 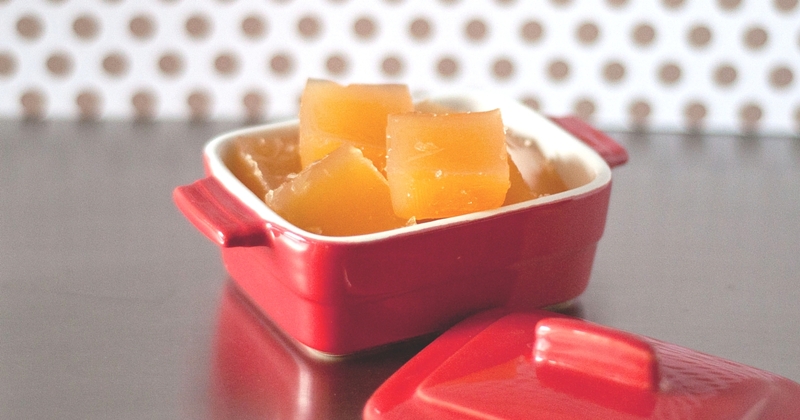 I use it on salads and as a dip when I just want a little snack. Mince the garlic cloves or process in a food processor. Add the remaining dressing ingredients and whisk or pulse until incorporated. 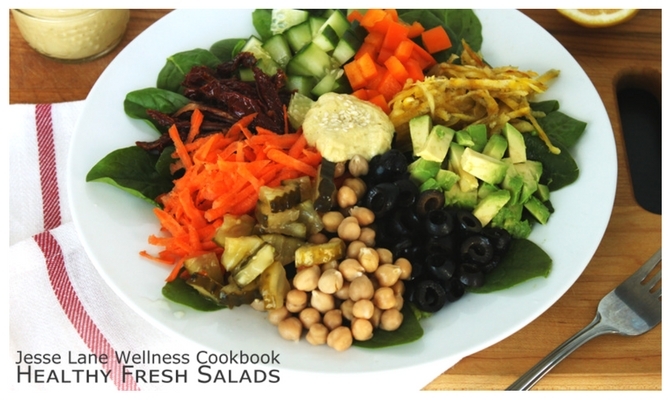 Place the greens in a large salad bowl and top with pickles, olives, orange pepper, sundried tomatoes, avocado, cucumber, beets, carrot and chickpeas. Drizzle the lemon tahini dressing over the rainbow salad, sprinkle with sesame seeds and enjoy! 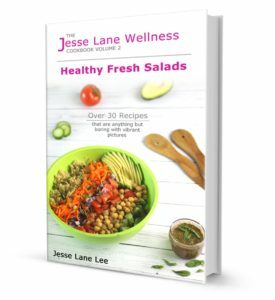 Click here to get your own copy of Healthy Fresh Salads by Jesse Lane Wellness. I was provided a free digital copy of Healthy Fresh Salads to review.